God is at work all over the world through Precept Ministries. Our ministry is in 180 different countries and our studies are translated into 70 different languages. The goal of our ministry is to establish people in God’s Word through inductive Bible study. It’s so exciting to hear all the stories from our Bible study leaders here in Canada. 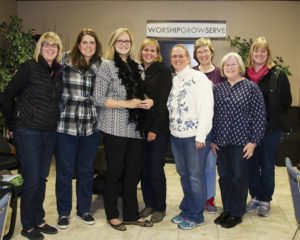 Barb, a local Bible study leader in Brantford, Ontario, has been using a creative way to get women into the Word of God. 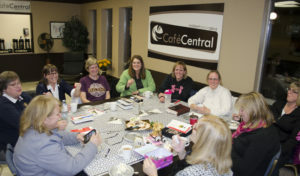 On Monday nights, a group of women gather to do a Walk and Talk program. For one hour, the women walk, hit their Fitbit goals, and study a Precept topical 40-Minute Bible Study. “These studies were chosen because these women are working full-time and already leading very involved lives,” Barb notes. Barb and her group just finished The Essentials of Effective Prayer. In that study, the group had some major breakthroughs. When they first started, the group relied heavily on Barb to lead each week and were not ready to take on any leadership within the group. After completing four previous studies, Barb put a plan in place to get the students more involved in leading small sections of the study. How did Barb do it? Each week she would have the students lead through the Observe section of the book, reading the Scriptures. Then Barb would ask the questions. This is a great way to introduce someone who is intimidated to start gett ing more involved. After a few weeks, Barb then had the students lead the Observe and the Discuss sections. They’re now starting a new 40-minute study and almost all the women in the group are confident, equipped, and ready to lead. Barb hopes that these ladies will find an opportunity to disciple others using these no-homework studies. A deepening of our care for one another came when we studied The Essentials of Effective Prayer with a focus on the elements of prayer using the Lord’s Prayer as our guide, as well as the perseverance of drawing near to the Lord and making our requests known to Him. We started with a chart in Week 1 with each of our names in one column and our prayer request beside each name in the next column. Every week we would share updates on how God was answering our prayers or for what we needed continued prayer. We then prayed for the person to our right concerning the details of that request. It may have seemed awkward at first, but after a week or so it was the treasured time of the evening seeing the updated chart change and seeing all the ways in which God heard and answered our prayers. Yes, some of our prayers are still an ongoing cry to the Lord, but we are willing to always draw near to Him and know He hears us. One final thought: During Week 4 of this particular study on prayer, we read the Wrap It Up story of Jack Arthur’s testimony on being a man who believes God still answers prayers. On p. 61 it reads, “God answers Jack’s prayers because Jack prays, because Jack believes God hears him and because Jack knows the Father’s will.” We highlighted this sentence so that we will never forget the promises of God upon our lives. The night we read this at our Precept Bible Study was the day Jack Arthur passed into the arms of His loving Saviour. Beloved, what is happening in Brantford, Ontario through Barb’s Walk and Talk program is discipleship. It’s very encouraging as we hear how the Lord is bringing these women together through inductive study and through a simple tool called the 40-Minute Bible Study. As you read this letter, I’m currently travelling across Canada with our Witnesses Cross-Canada Tour. The theme of the tour focuses on discipleship: learning how to study the Bible with the intention of sharing the gospel and discipling others into a growing knowledge of their Saviour. Making disciples who make disciples. Our hope is that the Lord will raise up people like Barb with a passion for God’s Word and passion to see others discipled with Precept Ministries materials. Partner with us in raising up more leaders like Barb in our country with your financial gift to Precept Ministries. Your gifts are used to establish and equip thousands of people across the country to learn the Inductive Bible Study Method. Your investment in Precept will make a major impact in Canada. 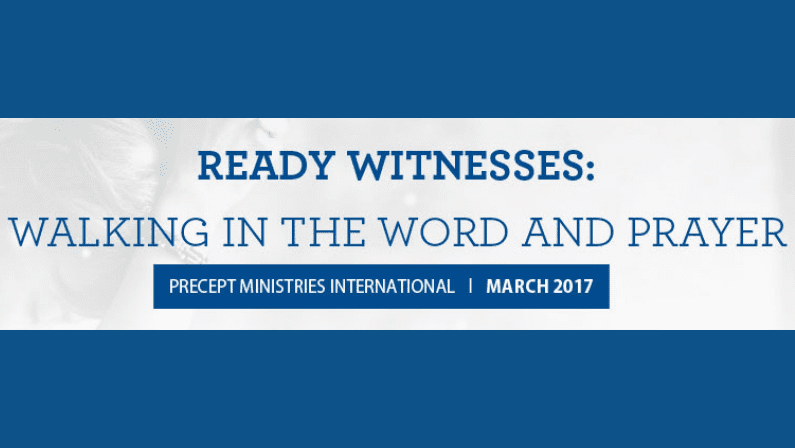 In the past 3 years, more than 20,000 new people have started using Precept studies and the Inductive Bible Study Method to make disciples. Would you prayerfully consider making an investment in Precept? Would you partner with us in raising up more leaders like Barb? Make the commitment today and we’ll put your investment to work for the furthering of the Kingdom and for the glory of God.